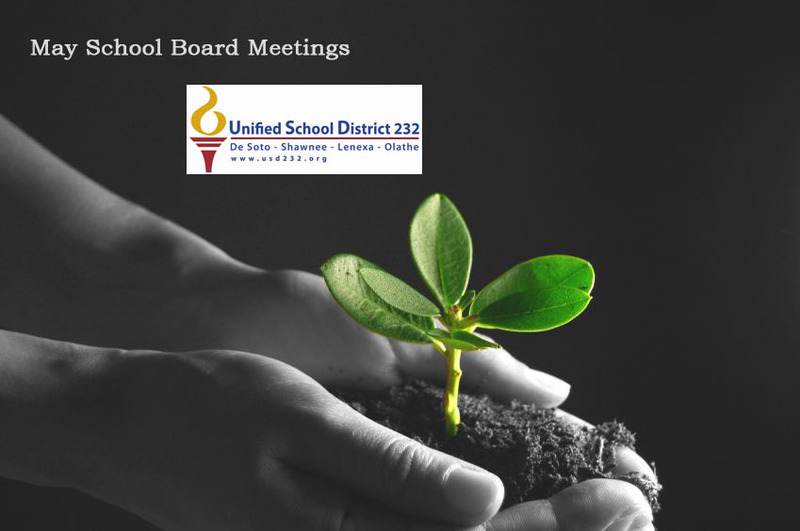 De Soto School District’s Board of Education will meet Monday, May 21, at 6 p.m. In addition to routine agenda items — such as granting a right-of-way to the Kansas Gas Service Company and discussing whether to hire someone to analyze attendance trends and school boundaries — board members will have a full schedule. They will be overseeing bond construction projects, purchasing textbooks and discussing block scheduling. One item on the consent agenda is approving a change order for construction of the second phase of expansion at De Soto High School. This is the only remaining project to be funded by $75 million in school bond sales approved by voters in 2008. The two completed projects include Mill Valley High School expansion and construction of Belmont Elementary. Additional funding for the De Soto High School project is coming from an $800,000 grant from the Federal Emergency Management Agencyto build a storm shelter. In addition to the storm shelter, phase two at De Soto High School includes renovation of the existing wrestling and locker rooms, gymnasium and performing arts center. Also, the district is adding a 44,000-square-foot activities wing with a second, larger gymnasium, ticket booth and concession stand. According to district administrators, expansion is necessary because of increasing enrollment. Another topic of discussion at Monday night’s meeting will be the purchase of textbooks for College Algebra classes at the high schools. Originally the district had planned to replace math texts this spring but later decided to wait for publishers to update content incorporating the new national Common Core Standards. However, the district is making an exception for College Algebra. This is a higher level course unaffected by the change to new standards, and the almost-decade-old books are in poor condition. Switching to Common Core Standards means De Soto high school students may also be switching to block classes. A block schedule means classes would meet for 90 minutes every other day instead of 45 minutes daily. Because Common Core standards are supposed to require students to engage in more in-depth learning, block scheduling may be more suitable. However, last month the board asked district administration for a report about benefits and disadvantages of block scheduling, and board members will receive that report Monday night.